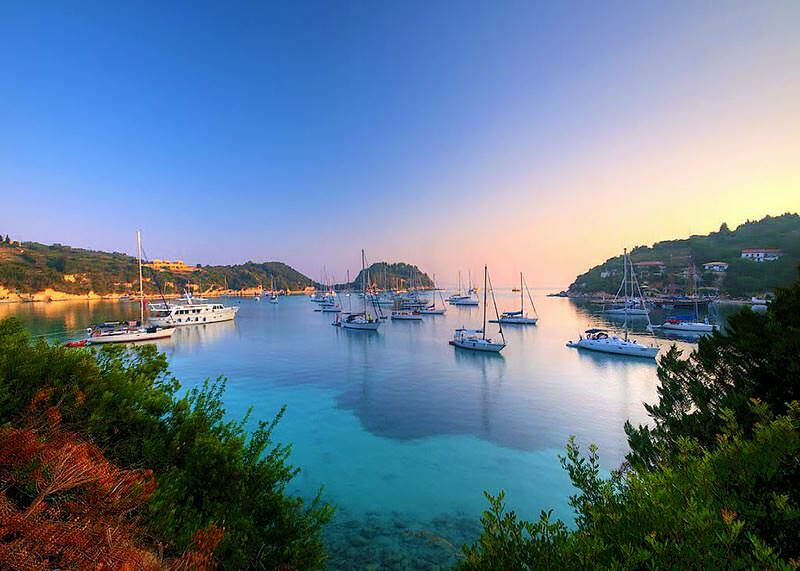 Of course no one who is in Corfu should miss a visit to the islands of Paxos and Antipaxos. A small 2 main islands cluster few miles south from Corfu. Mythology says than Poseidon*, the God of the sea, striked Corfu with his trident and created a separate island to quietly enjoy his romance with his wife Amphitrite, a sea Goddess. Paxos is an island that has been called one of the 20 most beautiful islands in the world, where among other things to see are the huge sea caves with turquoise waters, far larger and more beautiful than other caves in Ionian islands. 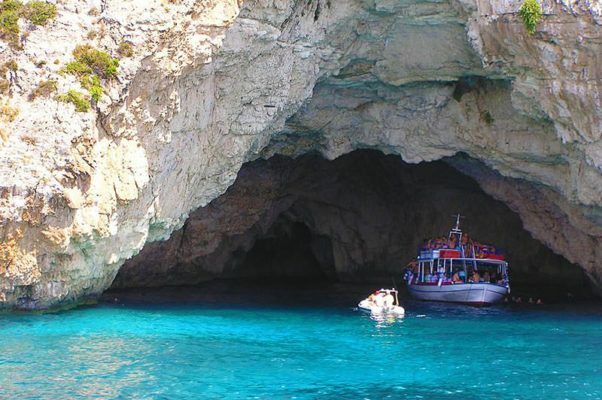 The west coast of Paxos island is rocky without many beaches but it has many captivating large caves, the blue caves of Paxos, it is a unique experience to discover these caves, the easiest way to see them is to book for a boat trip from Gaios port. 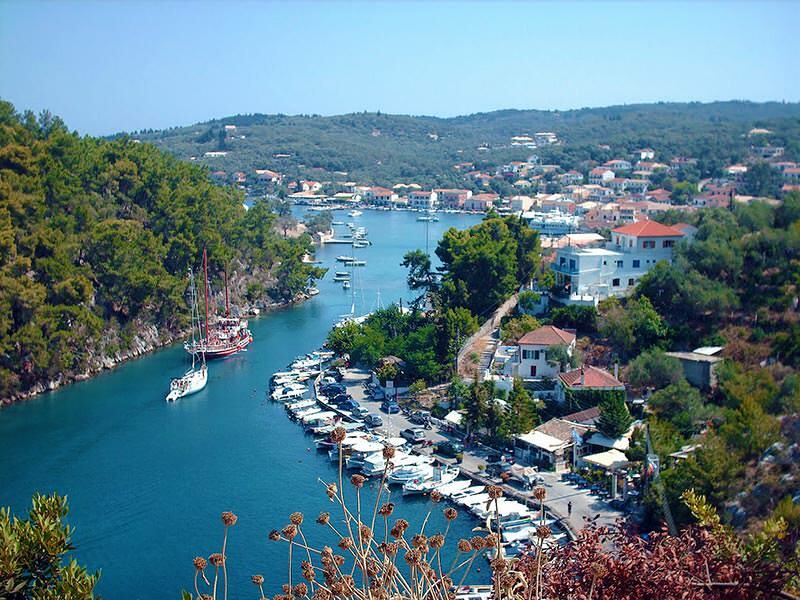 Gaios is a Latin name given to the village by the Venetians, it is the capital of Paxos and a very captivating landscape. The whole village along with the port are covered by two small islets, the northern and the smaller is called the Nisaki or Panagia and the southern and closer to the port is the island of Saint Nikolaos, so when you enter the port you have a feeling that you sail inside a river. It is a perfect large natural port with a lovely scenery on both sides. 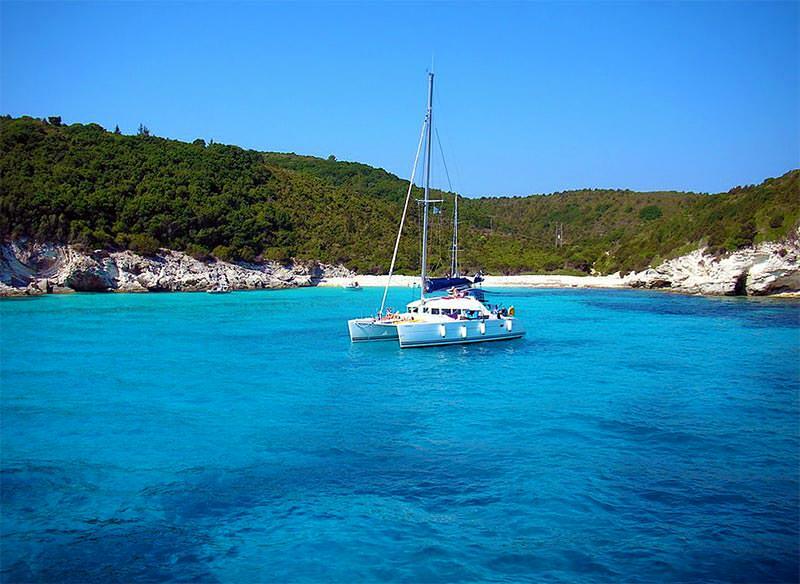 From here you can hire a small speed boat, along with the captain, to explore the amazing beaches of Antipaxos a few miles south. 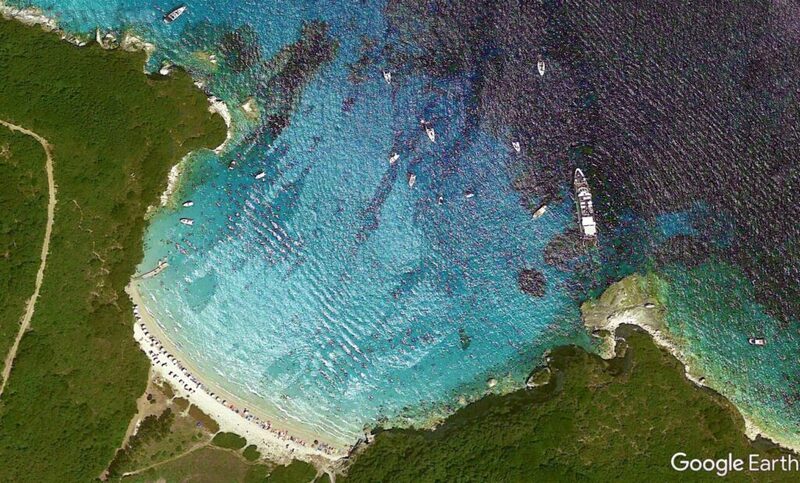 Antipaxos island is situated 1.5 miles south of Paxos. The smaller jewel of Paxos islands cluster, famous for its extraordinary beaches. 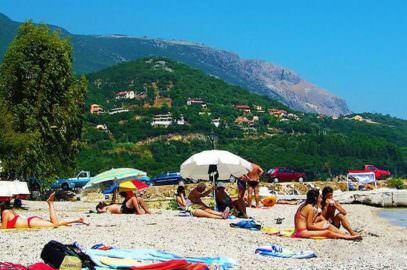 Island don’t have permanent residents, it is habitable only during the summer months by people operating the few tavernas along the beaches. It is a very small island, only 5 square kilometers large, covered exclusively by olive trees and vineyards. 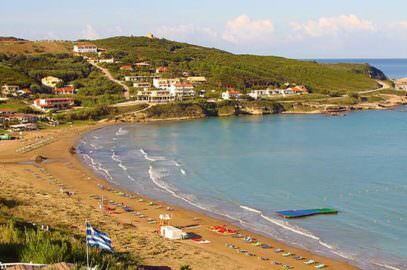 It has one small harbor called “Agrapidia“, one mile south of the most beautiful beach in the Ionian Sea, this is the beach of Voutoumi, made of silk white gold sand and has the cleanest and brightest blue-green waters in the whole Ionian sea. It is visited during the summer by yachts from everywhere. 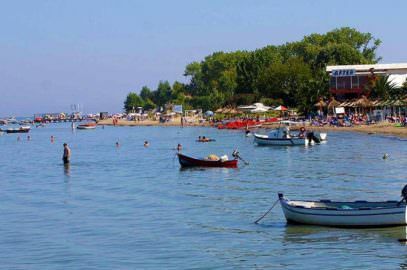 Also by boats from Corfu and Paxos, and from the nearby mainland villages of Parga and Sivota. At 432 BC and in the area between Paxos, Antipaxos and Sivota we had one of the biggest naval battles of antiquity, between the Greek city states of Athens and Corfu from one side and Korinth in the other, in this battle the Corfiots and Corinthians lost 70 and 30 triremes respectively. Lakka is the larger village at the north tip of Paxos, a large bay and a well protected natural port, there are many yachts mooring here, scattered inside the bay. 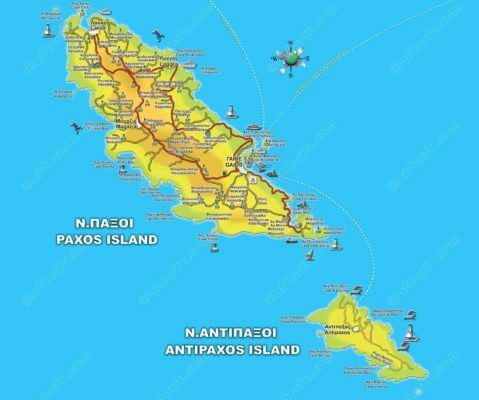 The population of the municipality of Paxos counts 2300 inhabitants, scattered mostly in the capital Gaios and in the 18 settlements, some of which have only couple of families. There are some more villages in Paxos, Loggos at the east coast and Magazia in the interior are the larger, also there are many smaller settlements all around the island. Moggonisi, a small island, at the south end of Paxos, separated from it by a narrow line of water, no bigger than one meter, you can walk to this island with a small jump. 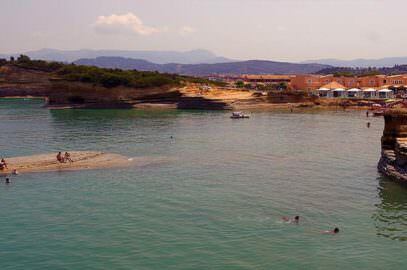 Katsonisi, is a smaller round shaped islet just after Moggonisi, the distance between the two are only a few meters. Nisaki of Panagia and Agios Nikolaos, are the two islands parallel to the port of capital Caios. 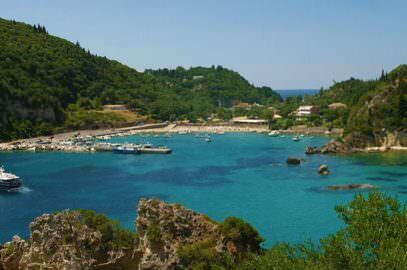 Lakka, is the second in population village of Paxos, exactly at the north tip facing Corfu. 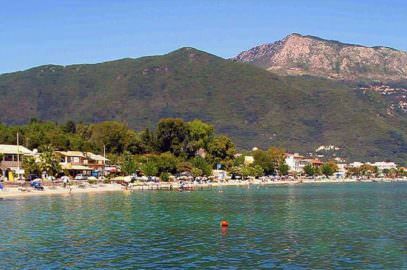 Longos or Loggos, the third bigger village at the Northeast coast. Magazia, the fourth largest settlement in the interior. All communities are named after the surname of their inhabitands. The first settlers on Paxos during Neolithic era were Phoenicians, The name Paxos derived from Pax, which meant trapezoidal in Phoenician language. 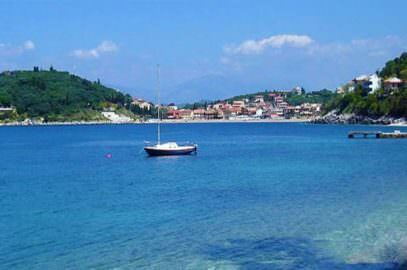 Since antiquity, Paxos and Antipaxos history have followed the historical course of Corfu island. Culture also is the same with that of Corfu as the same conquerors passed from here and left the same marks, language too have about the same influences. Thanks GasTheo! It Nice blog to sharing … This place is like a heaven was a place on earth, then that place would be Paxos Island. Paxos is a destination for those seeking harmony and tranquility together with an easygoing day-to-day and stunning seaside sceneries. This small island of the Ionian Sea is full of olive and pine trees, secluded beaches, breathtaking underwater caves and postcard-worthy sceneries.